Besides death and taxes, add repeated poor performances by Sun Microsystems to the list of life’s certainties. IDC put out its server marketshare numbers for the second quarter the other day. Sun had a really bad quarter, declining in server marketshare and declining in revenues. Don’t tell us you expected anything different from the Sun clowns. Sure, we’re in a recession and overall server revenues fell 30% year-over-year. But Sun’s server revenue decline of 37.2% was higher than the decline of the overall market. Sun’s server revenue decline in the quarter was the highest among the Top 5 server vendors, according to the IDC server tracker figures. By the way, Sun reported lousy results in its fiscal fourth quarter ended June 30, 2009 – a loss of $147 million ($88 million profit in the year earlier quarter) on revenues that fell 31% to $2.63 billion. 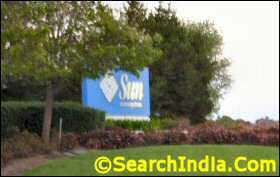 For the full fiscal year 2009, Sun reported a loss of $2.23 billion on revenues of $11.45 billion. Coming back to servers, IDC said server unit shipments fell 30.4% year-over-year in Q209, marking the largest ever year-over-year decline. Revenue declined across all classes of servers, with volume servers slipping 30%, mid-range servers off 28.1% and high-end enterprise servers down 32% year-over-year. * Linux server revenue fell 28.9% year-over-year to $1.3 billion in Q2. Linux servers now account for 13.8% of all server revenue, up slightly from 13.5% a year ago. One Response to "Another Ugly Quarter from the Sun Bozos"
You’ve made the same point in your previous comment.